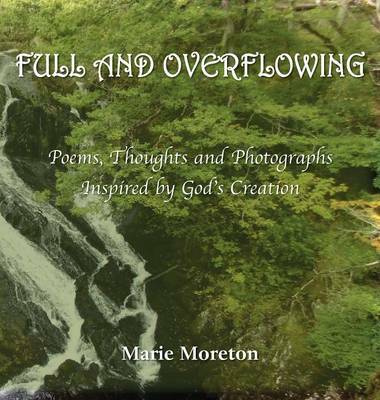 Full and Overflowing by Marie Moreton is a collection of poems, thoughts and photographs. The theme throughout speaks of Gods nature and creation. Within its pages you will catch glimpses of the author's experiences and feelings about nature and creation in the poems and thoughts that she has written; you will also see the photographs the author took that go hand in hand with these experiences and feelings. The author always writes in the same way as she talks, so you may even hear her speaking to you personally as you read her book, which is considered and appreciated as her special gift by those who have read her other work.